Now is as good a time as ever to update your firm’s case studies. This is one important way to tell the story of your law firm’s successes. 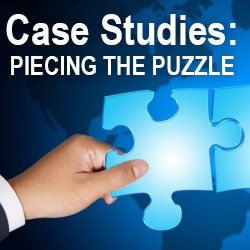 Here are some tips on how to structure your case study for maximum results. 1. Include a descriptive title – This is the name of the case study. It should use the client name or a few words that describe the nature of the matter. If you have the client’s permission to use its name, then feel free to use it. Otherwise, provide a description that conveys the type of client. 2. Clearly state the objective – Describe the client’s end goal. What was it trying to accomplish? What challenges did it face that led it to contracting with your firm? 3. Explain why the client hired the firm – Describe why the client hired the firm to assist with its issue. What about the firm appealed to the client? 4. Lay out steps taken to achieve the goal – Detail, in chronological order, the steps the firm took to help the client achieve its end goal. This does not have to be an exhaustive list of all steps taken. The point is to highlight the efforts of the firm that effectively positioned the client or brand within the marketplace. 5. Describe the outcome – Describe the results of the firm’s efforts. Emphasize how the firm played a pivotal role in the success of the client. Do not focus only on the success of the attorneys. Here are a few additional things to consider when drafting your law firm’s case studies. Think of the case study as a story. It should have a definitive beginning, middle and end. The beginning is the introduction of the client, its goals and the challenge that it faced. The middle is the introduction of the hero (the law firm) and the steps your firm took to help the client overcome its challenges. The end is overcoming the challenge and the client’s realization of its goal. The client is the protagonist; the law firm is the hero. Do not use the case study to launch a hard sell of the firm. Instead, sell the story of the client’s goals, challenges and success, and how the firm played a pivotal role in the outcome. This allows the firm’s experience and level of service to speak for itself. Think about SEO. Integrate choice keywords into the case study copy. However, don’t sacrifice the quality of the copy to squeeze in a few extra keywords. Also, insert internal links into the case study that point to other parts of the firm website. For example, if you mention a particular attorney or practice area, designate the appropriate anchor text and link it to the corresponding page for that attorney or practice area. Need assistance writing case studies? Feel free to contact me at latman@jaffepr.com.